Fleet Size Matters - A Blast From the Past : "A Repeated Note on a Call for Small, Numerous Ships"
What follows is From December 2013 and going back even further. Bottom line - the U.S. Navy needs to think small(er) in terms of warship sizes and think bigger in terms of numbers of ships. As has been repeatedly said by others, while a single large ship may be more capable in some ways, the loss of that single large ship in a fleet composed of fewer all large ships may be ruinous to sea control (something we see when we lose a couple of DDGs due to accidents). The loss of one of many smaller ships in a larger fleet may not hurt so much. 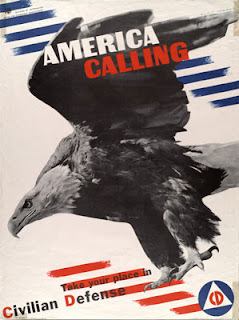 CDR Salamander's Maritime Strategy Monday: the Revolt of the Commanders ought to stir up discussion - though I am not sure how many "flag bound" O-6s are reading blogs critical of the group think that has put us where we are. I do know that when on exercises it was common to acknowledge that some issues were "too hard" or "too time consuming" to let them dominate the exercise, though in real life one will not be able to "assume away" such problems. In my view, during my last days being involved with such matters, we were not training senior officers in how to fight and how hard that fighting is against a determined enemy who has had time to build forces designed to exploit your well-known weaknesses. So when CDR S calls for a "commander's revolt" I understand his frustration. And note that John Boyd paid for his revolution heavily while lesser men gained from his insight. The would-be revolutionaries need to understand the risks. These commanders need some political help from someone who understands that we shouldn't have billion dollar ships doing missions poorly that could be done better by having many more mission-designed ships. To use a famous Navy phrase, "any ship can be a mine sweeper once." Real minesweepers can be reused after they have swept a channel- multibillion dollar "capital ships" cannot. Another reason is because of the economies of scale. A large ship with three times the displacement of a small one will have three or more times the payload and probably only cost twice as much. Sometimes the ship must be big to carry and operate its payload, modern carrier aircraft illustrate. A large ship is also more comfortable for long cruises in many kinds of weather. Hughes needs to be listened to. Sometimes the economies of scale and crew comfort need to be weighed against other factors, like winning wars and not being afraid to send your expensive ships into harm's way. Where are we five years on? We are still having the same discussion - albeit the number of Littoral Combat Ships (more properly, "Littoral Drone Carriers" or LDCs) is growing. Exactly where the vast drone force is right now is unclear, though drones ought to be cheaper and easier to build in most ways - just turn the job over to robots as GM has done to most of its automobile manufacturing. 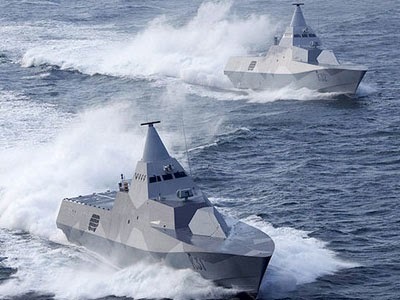 Smaller, faster, cheaper and dispersed in the theater where that matters (Southeast Asia) ought to be the U.S. Navy mantra for the next few months and years. Not to the exclusion of the big gray hulls - as an adjunct force, not a replacement. The Navy has begun randomly testing surface fleet officers on their officer of the deck skills in order to better understand where the community’s strengths and weaknesses lie. It is part of the surface community’s efforts to assess and revamp training in the wake of fatal collisions involving the warships Fitzgerald and John S. McCain last summer that killed 17 sailors. Forty OOD-qualified first tour division officers were recently selected at random from 10 San Diego ships to undergo the 35-minute assessment, which involves a survey, written test and a simulator scenario, according to a recent Navy blog post by Capt. Scott Robertson, head of the Surface Warfare Officers School, or SWOS. The tests will take place in the coming months at other fleet concentration points, with the goal of assessing about 200 officers, or a tenth of the fleet’s OOD inventory. 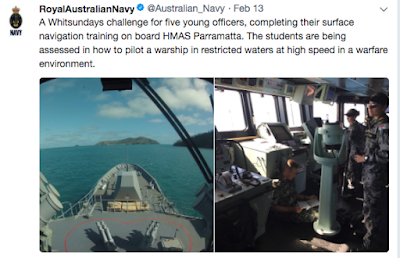 Such a data set will enable the Navy to gauge mariner skills and watch-standing capabilities of its OODs, Robertson said in the post. The past few weeks I've been comtemplating what traits make some naval surface ship drivers officers (Officers of the Deck or Junior OODs) better than others. As part of that process I also thought about whether some of those traits can be taught or whether some of them are organic within individuals. ...[I]n no fleet maneuver is the steering ability of the helmsman, indeed, the exercise of pure seamanship by all hands so demanding. No evolution is so fraught with potential danger as the high-speed maneuvering of huge ships in close quarters, where the knowledge of one's ship, of the action of the wind and the sea, and of the laws of physics is crucial. At replenishment stations, some individuals seem to have an intuitive awareness of what is happening around them. Such men never seem to lose sight of the ponderously certain outcome of the events they have set in motion. They have eyes in the backs of their heads, a feel for the sea in the tips of their fingers, and the born confidence of a professional juggler or racing car driver. It shows in the way they handle their heavy gear and in the way they drive their ships.."
Why is it that "some individuals seem to have an intuitive awareness of what is happening around them?" Is there something wrong with the others who apparently lack that "intuitive awareness?" Or is it a learned skill? Can it be taught? Situational awareness, a familiar term to professional captains and crew, is defined as having a keen sense of the events and conditions around us, and the ability to apply our awareness of those events to our situation. simply put, it’s knowing what is going on around you. Put simply, situational awareness (SA) means appreciating all you need to know about what is going on when the full scope of your task - flying, controlling or maintaining an aircraft - is taken into account. More specifically and in the context of complex operational environments, SA is concerned with the person's knowledge of particular task-related events and phenomena. For example, for a fighter pilot SA means knowing about the threats and intentions of enemy forces as well as the status of his/her own aircraft. For an air traffic controller, SA means (at least partly) knowing about current aircraft positions and flight plans and predicting future states so as to detect possible conflicts. Therefore, in operational terms, SA means having an understanding of the current state and dynamics of a system and being able to anticipate future change and developments. A general definition of SA is that it is the perception of the elements in the environment within a volume of time and space, the comprehension of their meaning and the projection of their status in the near future. The watch officer should be ready for any situation. For that reason, the most important faculty for the watch officer to cultivate is forehandedness. If there is reason to think that there will be fog during a watch, he or she should check over the fog procedure before taking the deck. If the ship is to take part in fleet exercises, the watch officer should arrange to study the orders, pre-exercise messages (PRE-EXs) , and applicable instructions before going on watch . . . The watch officer must always look ahead - a minute, an hour, and a day - and make it a matter of pride never to be caught unprepared. The wise watch officer will mentally rehearse the action to take in event of a fire, a man overboard, a steering failure, or other sreious casualty. This habit is not difficult to acquire and is certain to pay large dividents. Forehandedness is the mark of a successful watch officer. Specific evolutions of a technical or complex nature should b e pre-briefed in advance with all the major participants atending. The OOD is usually a central figure in these briefings. Proper preparation for complex evolutions not only results in smooth running operations but also keeps them safe. I note that with our naval aviators, every mission is pre-briefed. I am not sure how many, if any, oncoming watch teams on our ships get together before the watch to discuss what to expect. The best skippers and OODs constantly challenge their watch standing teams - not to harass them with trivia - but to teach them what are the essential matters that any member of the watch team needs to know. My first CO was always testing the limits of my knowledge - "How far can you see from the bridge?" (You first have to know that height of the bridge above the water . . .) "If you are the burdened ship in a crossing situation at sea and you are going to manuver to avoid a collision, how big should your turn be?" (Big enough so the guy on the bridge of the other ship can see that you've made the turn) "What's the best thing to do if you've lost situational awareness?" (Usually go "all stop" and buy yourself some time to sort things out). 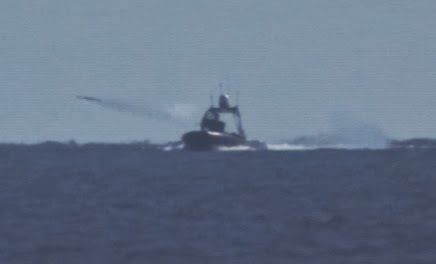 The OOD that, during a quiet watch, announces that the "bridge has lost steering" to test the watch crew's ability to shift steering to after steering and for after steering to take control is being forehanded, as is the CO who tells the XO to toss Oscar, the man overboard dummy, over the side to check the OOD and crew responses. We've been standing watches in the U. S. Navy for over 240 years. Tech may have changed, but people haven't. What has happened is that many of us depend too much on technology and forget that tech can and will fail at the worst possible moment. As in "Murphy was an optimist." It behooves us to learn to use tech properly while keeping alive forehandedness as "the most important faculty" for our watch officers. All of which is to say, it speaks volumes that we need to "test" U.S. officers of deck to set a baseline for training because we don't really know what we have. It also speaks volumes that the RAN "test" (after completion of training) is to throw their JOs into the fray piloting "a warship in restricted waters at high speed in a warfare environment." More on situational awareness later. Part of an Old Debate Between the U.S. and Iran About the Strait of Hormuz: "Ships in Gulf should use Iran-defined routes"
In comments at a conference of maritime organizations in Tehran on Tuesday, Rear Admiral Fadavi said the Supreme National Security Council has passed a new regulation obliging all foreign ships, including American and British vessels, to take the waterway defined by Iran. American vessels obey the Iranian rules when it comes to exercising sovereignty in the Persian Gulf, he said. The general added that foreign vessels in the Persian Gulf do not dare to violate Iran’s instructions on the waterways. He further explained that Iran Ports and Maritime Organization has the authority to announce the decision on new maritime routes, in accordance with the administrative and international regulations. General Fadavi also expressed the IRGC’s readiness to detect and document environmental violations in the Persian Gulf through aerial and naval patrolling, as soon as the Ports and Maritime Organization and Iran’s Department of Environment authorize the IRGC forces. In remarks in June 2016, Leader of the Islamic Revolution Ayatollah Seyed Ali Khamenei underlined that security of the Persian Gulf region comes within the purview of the regional countries alone, and dismissed the US claim of seeking security in the region. “The Persian Gulf security relates to the countries of the region which have common interests, and not to the US. So, security of the Persian Gulf region should be provided by the countries of this region itself,” the Leader said. As Professor James Kraska noted in his 2013 article in the Virginia Journal of International Law, "Legal Vortex in the Strait of Hormuz," the issue is complicated by the fact that neither Iran nor the U. S. is a party to the United Nations Convention on the Law of the Sea (UNCLOS) which has a specific section pertaining to straits like the Strait of Malacca or, in this instance, the Hormuz Strait. source and content of the laws that govern passage through the strait. As we now see in the South China Sea, part of the problem lies with there being two distinct types of passage through "territorial" waters, (1) innocent passage and (2) transit passage, with very different rules in play. 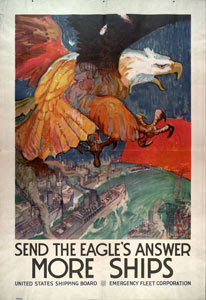 Ships of all nations enjoy the right of innocent passage through the territorial sea.9 On the other hand, coastal States have broad and durable security interests in the territorial sea, and may prescribe and enforce laws that condition or preclude altogether the surface transit of foreign warships. When overlapping territorial seas connect one area of the high seas or exclusive economic zone (EEZ) to another area of the high seas or EEZ, this also constitutes a strait used for international navigation under the terms set forth in UNCLOS.10 States are entitled to exercise the right of transit passage through such straits used for international navigation. The regime of transit passage affords more rights to users of the strait than innocent passage. In most circumstances, innocent passage can be suspended by the coastal State; transit passage cannot be suspended. Transit passage also allows submerged transit and overflight of aircraft through the strait.11 Only surface transits are permitted for ships engaged in innocent passage. In the absence of acceptance of UNCLOS, however, the United States and Iran cannot use these clear rules as a guide and therefore must revert to legacy treaties, such as the 1958 Convention on the Territorial Sea and Contiguous Zone (Territorial Sea Convention), 12 as well as customary international law, to determine their respective rights and duties in the strait. As Iran would have it, unless a country has become a party to UNCLOS, there is no "transit passage" available to it. On the other hand, Iran also asserts it has the right to a 12 mile limit on its territorial waters. Using these two concepts, Iran argues that it has the right, applying rules applicable to "innocent passage" to control the "surface transit of warships." Iran is not a party to UNCLOS, and therefore is under no compunction to recognize legal regimes therein unless they have become customary law and therefore binding on all nations. Since Iran is not a party to UNCLOS, it does not enjoy a twelve nautical mile territorial sea and instead may claim only the historic three nautical miles. While restricting Iran's territorial seas can be fun, the U. S. has its own issues with UNCLOS and has to fall back on asserting that "transit passage" rights are founded in customary international law which apply even if UNCLOS does not. Since the United States is not party to UNCLOS, it does not automatically enjoy the right of transit passage through straits used for international navigation if the coastal state also is not a party to the treaty. The United States counters that although the regime of transit passage through straits used for international navigation is reflected in UNCLOS, it springs from customary international law, rather than being a creation of the terms of the treaty. Although transit passage is codified in article 38 of UNCLOS, it merely reflects long-standing state practice and opinio juris. According to this view, even though the United States is not a party to UNCLOS, therefore, it nonetheless enjoys the right of transit passage through international straits as a matter of historical practice and a history of legal obligation among states. To put a final point on it, the United States rejects Iran’s claim of broad security competence over the territorial sea, since even article 16(4) of the 1958 Territorial Sea Convention precludes the coastal State from suspending innocent passage. A coastal State, such as Iran, may not select a twelve nautical mile territorial sea over waters forming a strait used for international navigation, dispense with the navigational regime of transit passage, and instead insist on enforcement of innocent passage any more than the United States could recognize only a three nautical mile territorial sea and then demand to exercise the right of transit passage within it. Ultimately, it is unclear which of the two nations has the superior position to determine this legal landscape. Both the twelve nautical mile territorial sea and the right of transit passage through international straits have either entered, or are on the cusp of, customary international law. The barest tinge of irresolution to the matter means the onus is on Iran either to accept the post-1982 legal status quo or raise it as a challenge before a competent international tribunal. Also of interest Iran's Maritime Claims. Decades before The History Channel or the Discovery Network there was Adventures in Research. The program was sponsored by Westinghouse, a company which knew the importance of science and research. In fact, the program was written by physicist Phillips Thomas, who was on the staff at the Westinghouse Laboratories. Adventures in Research highlighted technology, inventors and their inventions. Subjects were presented as dramatic plays and ranged from atomic power to cash registers. As we enter our 17th of ongoing conflict in Afghanistan and the global struggle against terrorism, why is this war taking so long? Where are we making progress, where are we stalled, and where are we falling back? There are no easy answers to these questions, if there were they wouldn’t need to be asked. We will discuss these and related issues for the full hour with author Dr. Daniel R. Green, a Defense Fellow at The Washington Institute for Near East Policy focusing on counter-terrorism, counter-insurgency, and stability operations in the Middle East and Central Asia. He is a reserve officer with the U.S. Navy with multiple deployments to both Iraq and Afghanistan, along with holding several senior advisory positions dealing with the Middle East, Central Asia, and NATO/Europe in the Office of the Secretary of Defense and the State Department. 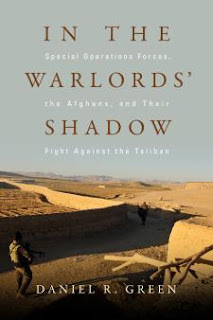 Dr. Green recently completed his third book, In the Warlords' Shadow: Special Operations Forces, the Afghans, and their Fight with the Taliban that we will use as a stepping off point for our conversation. Join us live if you can or pick the show up later by clicking here. Or you can also pick the show up later by visiting either our iTunes page or our Stitcher page. A ship carrying 22 Indian crew members and 13,500 tonnes of gasoline is still missing in the Gulf of Guinea; contact was lost in Benin on Friday, the company and India's minister of external affairs said on Sunday. The Gulf of Guinea is increasingly becoming a target for pirates who steal cargo and demand ransoms, even as piracy incidents fall worldwide, experts say. 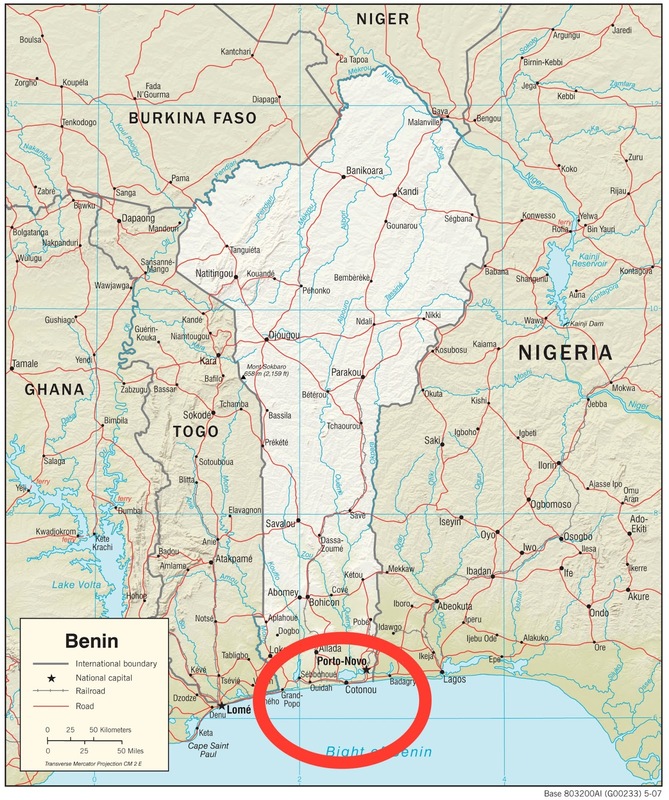 The Marine Express tanker, managed by Hong Kong-based Anglo-Eastern, was last seen in Benin's waters at 3.30am GMT on Friday after which contact was lost, an Anglo Eastern spokesman told Reuters. According to MarineTraffic, Panama flagged, 28000 ton ship. Anglo Eastern, managers of the 45,989 dwt oil products tanker “Marine Express”,(IMO 9403322) report that contact has been lost with the vessel which was at the Cotonou Anchorage, Benin. 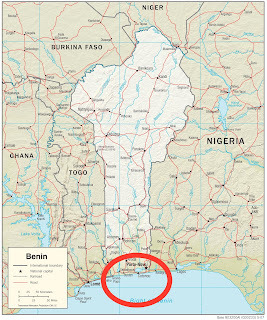 Nearby map shows area in question in the red oval off Benin in the Bight of Benin, a portion of the Gulf of Guinea. The Anglo-Eastern company reports on Facebook that the entire 22-person crew was "safe and well," and that they even managed to keep the entire cargo of 15,120 tons of gasoline intact. The crew and captain regained control of the Marine Express tanker at 4 p.m. Singapore time on Monday, according to the Hong Kong-based company. "A complete investigation will be carried out into the hijacking and we wish to express our gratitude to the captain and crew of the vessel and their families for their courage and fortitude in dealing with this difficult situation, as well as to all of the authorities and agencies involved," the company wrote on Facebook. Sushma Swaraj, India's Minister of External Affairs, tweeted that "I am happy to inform that Merchant Ship Marine Express with 22 Indian nationals on board has been released." 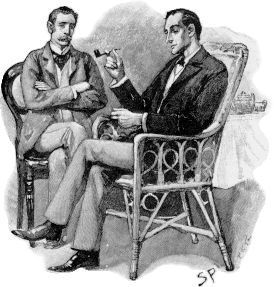 Featuring John Stanley as Holmes, Alfred Shirley as Watson. 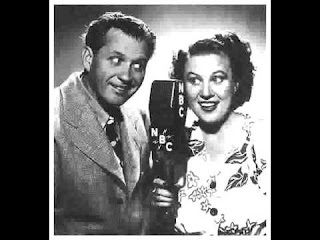 These two came to the Holmes' shows after Basil Rathbone/Nigel Bruce and Tom Conway/Nigel Bruce. The duo might not be everyone's cup of tea, and the acting, well, let the story speak for itself.